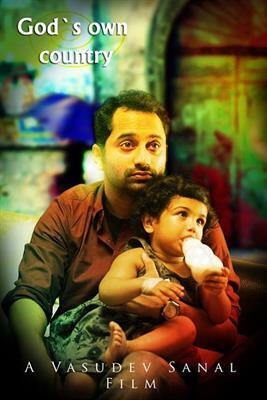 After a majestic 2013 acting in 12 movies, young hero Fahadh Faasil is all set to continue his winning track in 2014 too. While eagerly waiting for 2 of his releases, Fahadh has already committed 6 projects. One of his major releases in 2014 would be 'God's Own Country' directed by Vasudev Sanal. The movie which is touted as a thriller will have Srenivasan, Isha Talwar and Mythily in prominent roles. Lena Abhilash, Nandu, Jaffer Idukki, Manikkuttan, Lakshmipriya, Vijayakumar, Sudheer Karamana and Salim Kumar would give life to other prominent characters in the movie. The movie revolves around the life of three people who very different from each other in socio-economic backgrounds. They come to Kochi with their own aims which they wish to get fulfilled. Manu (Fahad Fazil) reaches Kochi from Dubai to resolve a problem which would give more strength and power to his future life. Arriving at Kochi, Manu is helped by Abhirami (Mythili), a daring and smart lady who helps to find a remedy to the crisis. Public Prosecutor Mathew Tharakan (Sreenivasan) and taxi driver Muhammed (Lal) are the other two persons who also wish to get their own goals fulfilled. Will all the four be able to find satisfying result for their visit? The rest of the movie takes a new shape which will take the story to the next phase. God's Own Country would be a visual treat for all the movie lovers who want to watch an extreme feature drama. The quest of human beings in fulfilling his or her goals is the main theme of the movie. During the course of time, the movie reveals the struggle and pain which these people had to bear while making their dream come true. Determination and hard work can finally result in winning goals which is the real message which passed on to the young generation.